Spread 1 tablespoon of peanut butter on each pretzel, leaving a two-inch “handle” without peanut butter. Press and roll popcorn onto the peanut butter to coat. Sprinkle with the sugar sprinkles. 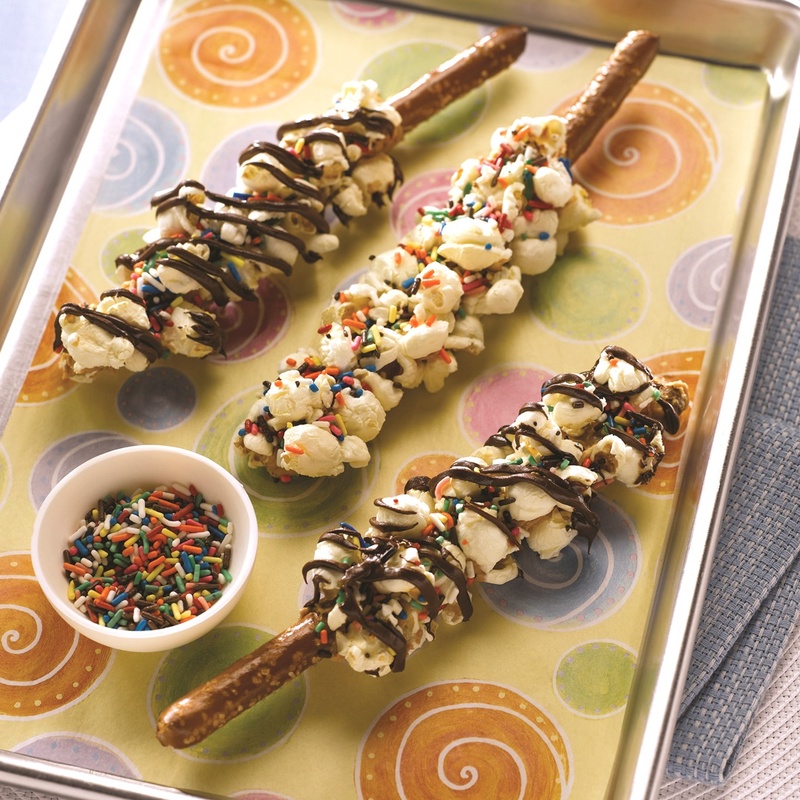 For the chocolate drizzle, place the chocolate chips in a small zippered plastic bag and seal. Microwave 30 seconds or until the chocolate is melted. Clip a small corner from the bag and squeeze to drizzle the chocolate over the popcorn. Sprinkle with additional sugar sprinkles. Allow the chocolate to harden before serving.